Matthias Hermann studied medicine in Göttingen and subsequently trained in Cardiovascular Research at the Institute of Physiology and the Department of Cardiology in Zurich. He has earned merits, especially in the field of heart failure clinically and scientifically. 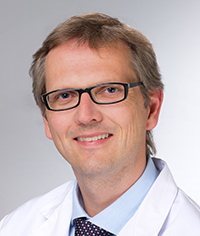 In March 2009 he was appointed chief physician of the cardiology department at Höhenklinik Wald in Zurich and continues as a guest senior physician to 20% at the Department of Cardiology in Zurich. In 2011 he habilitated at the Medical Faculty of the University of Zurich for Cardiology.